She is the slow-witted idiot of the Prime Minister’s Residence. Everyone bullies her. He is the most respected and unfeeling Prince, with frightening ability and absolute envy! Together, they are conferred an imperial edict of marriage. She acts stupid and tries to decline in every way possible while he despotically escorts her into the wedding…… everyone ridicules the match, but no one knows that the “idiot” has transformed from a loser into a talent. The plot is good cannot be regarded as exceptional, but the character design and the characters action are completely not in sync. The MC is said to be intelligent but the character's behavior and thinking are very stupid. The story and the depth of character design is nice. Starts out good, goes towards great then devolves into repetitive bullsh*t.
Let me expand, the story starts out great, it has a bit of mystery to it, some humor and some action. The MCs character is not the same Mary Sue character you find in other novels, she has a bit of impulsive and naive side to her. This was used to humanize the MC in the beginning and you really do start to relate to her. But some time after (c200 or so) you quickly realize the author's using the... more>> same plot over and over again. Enemy somehow gets to know MCs some weak spot, they use it, MC impulses and puts her life in danger, and gets rescued at the last damn minute by something or somebody (aka Mr. Plot Armor). This keeps on repeating and repeating, until you eventually get sick of it. Throw in some deliberate misunderstanding created between the two leads and it makes you hate it even more. Another weak point of the novel is the ML. He has less dialogue in this novel than any other prominent side character you pick. He is literally described as an ice block, and just when I thought things were improving the author does something which really made me hate the novel. Simply put an unlikable minor side character. In fact the main jealous rival bit*h has more dialogue than him. Like the other reviewer mentioned, it started ok, like the typical transmigrator romance type of series. But soon goes down hill relatively fast. There's about 573 chapters, so thankfully it didn't drag on much longer. I have to say it was a struggle to read the last 200 chapter or so of tedious repetitive writing. 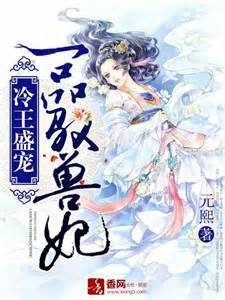 This story is a combination of transmigration and reincarnation. Plotwise it always revolves along the same villains who never seem to die like a comic book villain. For one reason or another, the MC or ML... more>> never completely exterminate their enemies. As a result, they keep coming back not just from near death but even coming back after reincarnation. It's a bit frustrating to read how often these villains keep coming back to cause trouble repetitively. They've got more lives than a cat I suppose. If you like stereotypical romance stories that mostly revolve around the third wheel or rotten peach plotline, this is the story for you. I've never understood the fascination of a woman demeaning or scheming to such a degree for a man who they've fallen in love at first sight for no reason whatsoever. The romance between the main characters is ok, but the heroine kind of goes from strong to weak so often. Her emotions are originally strong and independent, but then she becomes really annoyingly clingy. Started off quite different than the other transmigration novels, ended quite similar to others. I'm a real sucker for historical genre so I've got enough patience to reading most novels like this one. Just your usual from tatters female lead to becoming the best one in the continent. The male lead was the usual ice block then suddenly becomes a warm person to the female lead. The same usual peach blossoms who are after the male lead. Though there was quite a bit difference with the male lead having amnesia on the case of the female lead. Their bit of a peaceful time was quite longer than the other stories. It's not always war and fighting. The same case of being a significant person in their previous life and something like that. The ending was definitely my cup of tea though, the grand wedding and their second child. Also their extra story of their previous life which was so heartbreaking to read. There were some missing parts though like what happened to her eldest brother and his wife? Her half sister and her mother that were taken into custody by them for protection? To the hidden master that came from the modern world, his supposed-to-be love line just ended like that? It is another transmigration story. One thing I like about it is that I don't have to wait a few chapters to see the villains getting what they should deserved for trying to harm the main character. As for the rest you will have to read it to find out for yourself. I really like this novel. At first, it seems a bit fastfaced leaving some things unexplained but it was delivered perfectly so it doesn't seem off beat. The MC is great, not like the usual transmigarated super OP. So far, the ML has this mysterious vibe on him. Hoping someone will pick this up its a waste if it will be left hanging. Well, another story with similar themes but different names... the stories are good and the characters are amusing.. but yeah, you know... just another story that make me feel like I have read before. I gave it 4 rating, but its only because the stories are not so slow-paced and the male lead are not another lovey dovey character for the female lead.